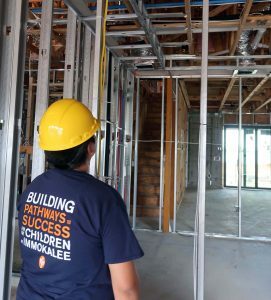 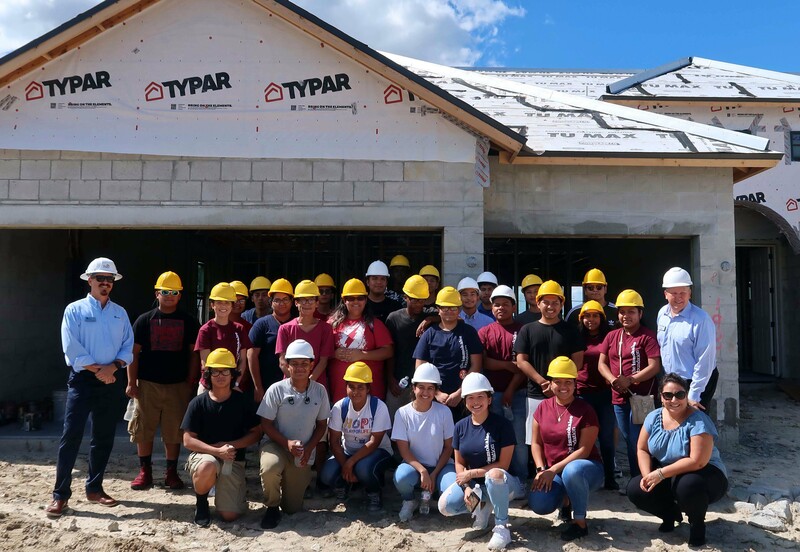 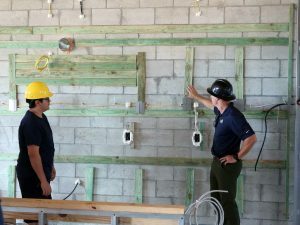 Students enrolled in The Immokalee Foundation’s Career Development program experienced first-hand the home construction process during a recent career exploration day hosted by Pulte Homes. 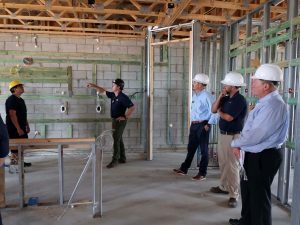 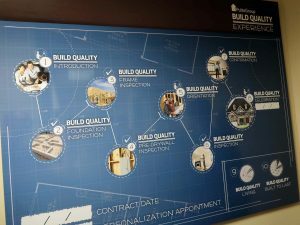 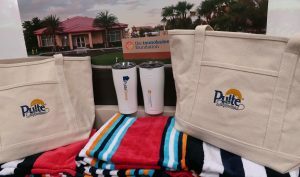 The day began at Pulte Homes’ corporate office in Bonita Springs with a tour, which included Pulte’s Design Center. 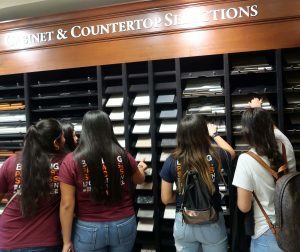 Students were then encouraged to roll up their sleeves and use the center’s resources to “design” a room, utilizing samples of floor tiles and carpet as well as fixtures, security features, and cabinetry. 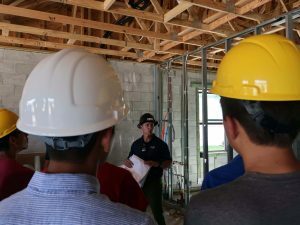 The students also visited Pulte Homes’ newest development, Corkscrew Shores, and toured the sales center and model homes, experiencing what a home looks like both before the walls and plaster are installed and then upon completion and interior decorating. 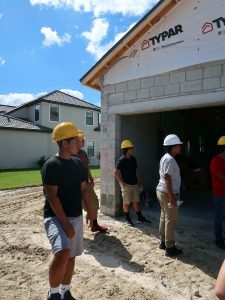 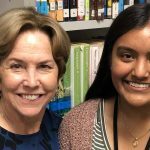 Pulte employees in various careers fields – from land acquisition and development to marketing, sales, construction, finance and procurement – spoke to the students, including Immokalee High School freshman Joel Guerrero. 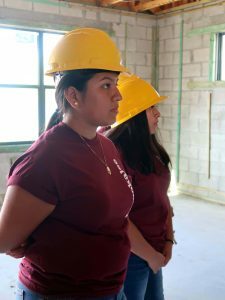 “They gave us exposure to a variety of different jobs in the company,” Guerrero said. 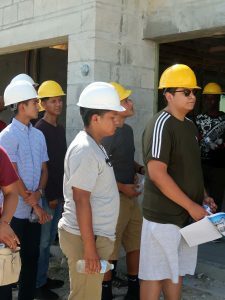 “I learned the steps required to construct and sell a home.” Guerrero has been interested in construction since he was a child, he said, and the field trip confirmed his resolve to pursue a career in civil engineering. 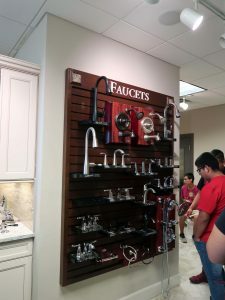 “The discussion panel was very interesting because they were giving their story of how they ended up working in a field that they did not go to school for,” said student Wenchy Dutreuil. 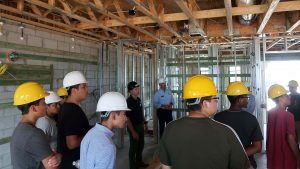 Students were guided through the day’s activities by Brett VanderHeyden, resource planning agent; Bita Rayga, Design Center coordinator; and Bill Olex, sales consultant.